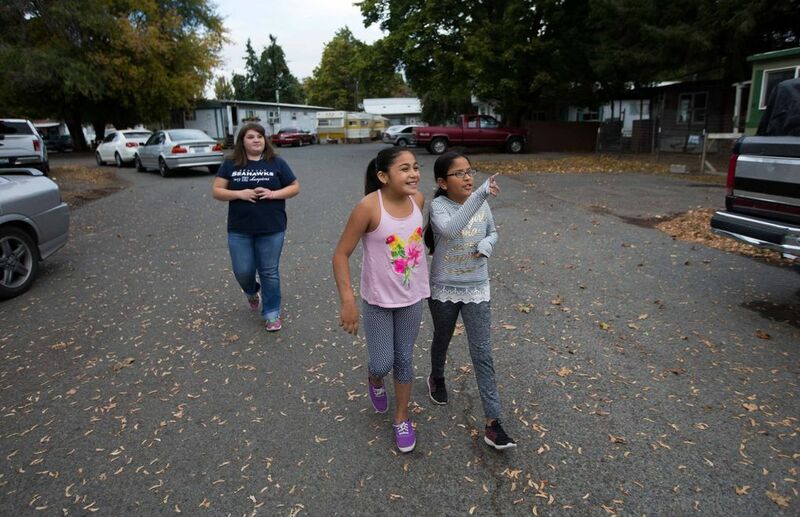 Neighbors in a low-income, mostly Latino mobile-home park are fighting Kittitas County’s surprise plan to evict them. Now the state is investigating. Every fall since 1923, hordes of people enter the Kittitas County Fairgrounds in the town of Ellensburg to watch bulls toss riders off their backs and cowboys wrestle steers to the ground. 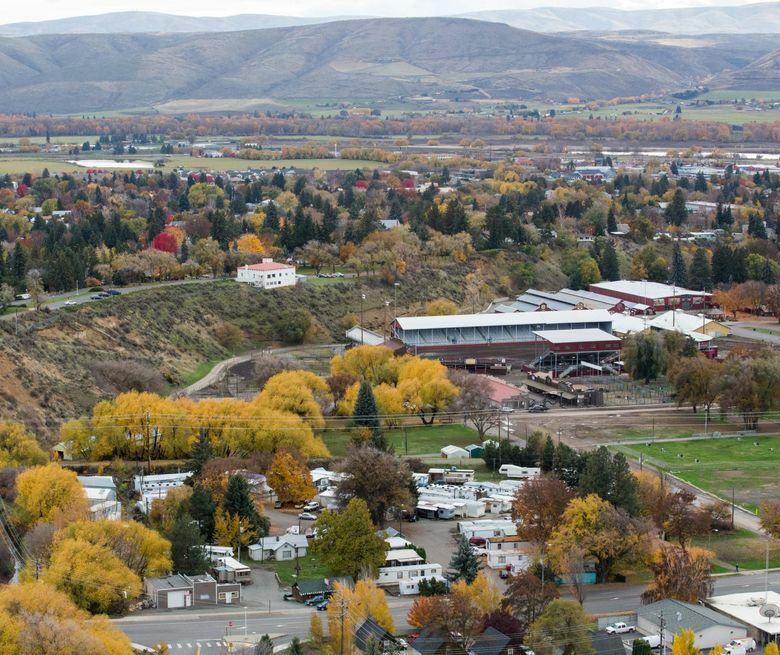 Just a block away is a 3.5-acre plot of land that could someday add value to the annual rodeo and county fair, the biggest attractions in this agricultural and college town east of the Cascade Mountains. The Kittitas County Board of Commissioners purchased the plot in September for $1.45 million with a plan to convert it into an RV park for visitors. 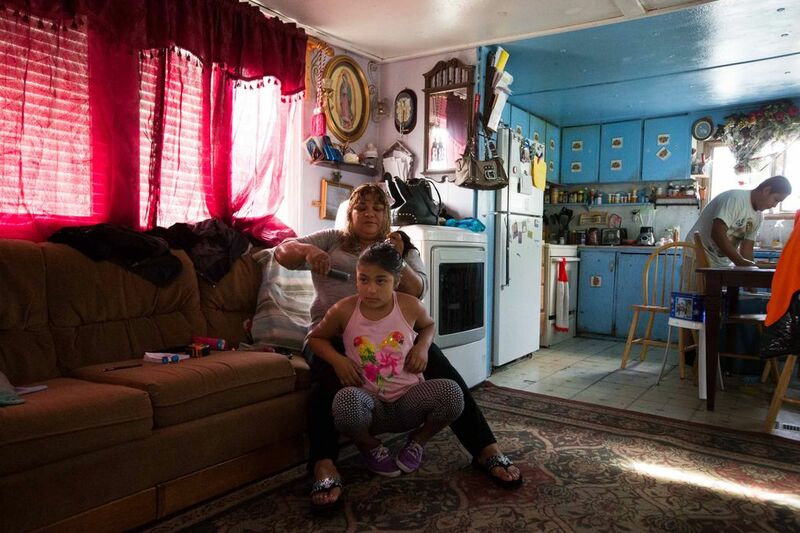 But to execute that vision, county commissioners will ultimately need to evict about 100 people — including 50 children — who live in the skinny, rundown mobile homes that constitute the Shady Brook Mobile Home Park. 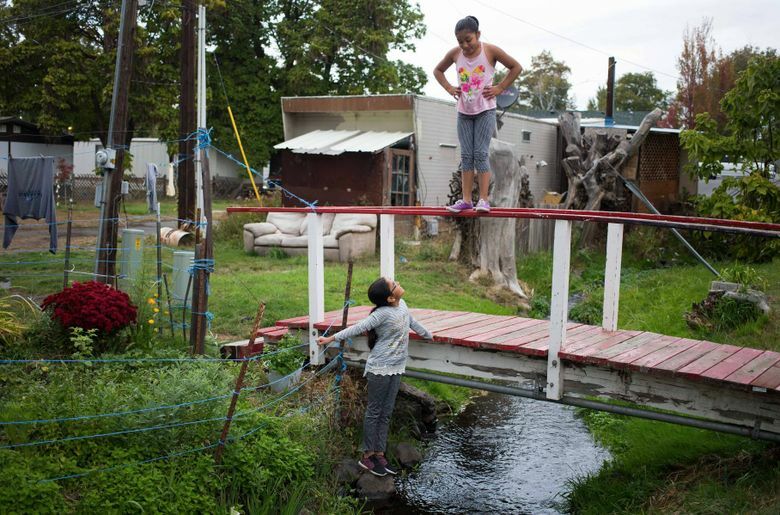 The land sale launched a protracted standoff between Shady Brook’s residents, who are low-income and mostly Latino, and county officials who appear to have misjudged the residents’ ability to fight back. Shady Brook’s residents responded to the prospect of losing their biggest investment — mobile homes, many of which are too old to survive a tow to a different park — by forming a homeowners association and hiring attorneys to represent them as a group. Now they are prepared to file a lawsuit to keep their community intact. Meanwhile, county officials are facing questions over how they intend to help Shady Brook residents relocate in an area that suffers from a shortage of affordable housing. The affair has drawn the attention of the state Attorney General’s Office, which notified county officials in May that its investigators were examining the possibility that the officials had violated state and federal laws concerning fair housing. “We have learned of information that suggests the County’s proposed purchase and closure of Shady Brook Mobile Village may constitute discrimination against persons based on race, color and/or national origin,” Patricio Marquez, assistant attorney general of the civil-rights unit, stated in a May 5 letter. A spokesperson from the Attorney General’s Office said in January that the department had no update on its investigation. Kittitas County Commissioner Paul Jewell said in a September interview that county officials had not broken any laws. But he acknowledged they also didn’t have a plan for how they’d help the Shady Brook community, or know when families would be forced to leave. Jewell, in a subsequent interview in January, said county officials recently offered Shady Brook residents five-year leases. “We wanted to send a signal we’re not in a big hurry,” he said. The residents of Shady Brook rely on each other to baby-sit their kids, loan money, translate documents and drive neighbors to appointments. At least eight men in the park work at Anderson Hay & Grain, a big local employer that exports world-renowned timothy hay to countries like Japan. Several others prepare and package frozen vegetables at Twin City Foods, another local employer, or seasonally pick apples, cherries and pears. While most of those who own mobile homes at Shady Brook pay $325 a month for the space or lot, apartments of similar size rent for triple that in Ellensburg, according to a federal fair market rent report. Margarita Gomez, who sometimes watches the neighborhood kids while their parents work, said the eviction, regardless of when it comes, is not fair. “Families have four or five kids and it’s not easy for a family to find a new home because it’s more expensive,” Gomez said. Although county officials say they had no intention of quickly evicting Shady Brook’s residents, records show that wasn’t the original plan when they started negotiations to buy the property. 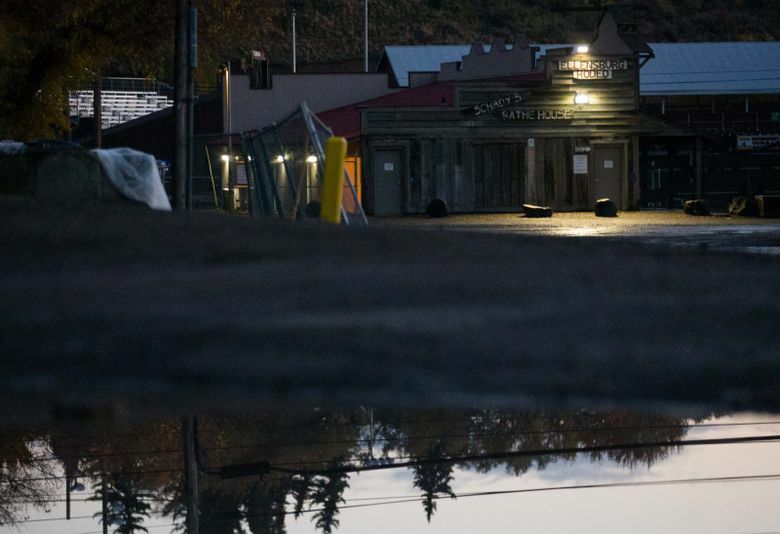 The Seattle Times obtained documents and emails through public-records requests that show county officials initially demanded in 2015 that the park’s then-owners, Jerry and Diane Barton, evict Shady Brook’s tenants and dispose of the mobile homes before closing the sale. Kittitas County Chief Civil Deputy Prosecutor Neil Caulkins, who was negotiating the sale on behalf of the county, said in an interview that the county’s request was a common one in purchase agreements. 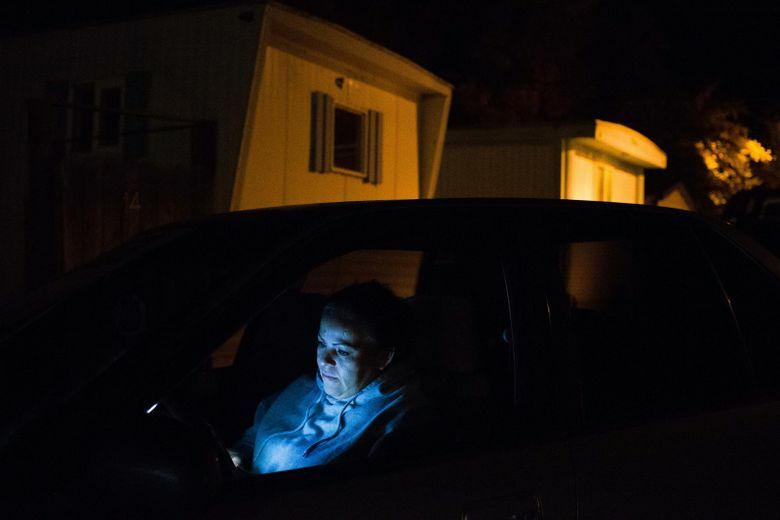 The Bartons’ attorney responded to the county in an email that the couple was willing to evict tenants who leased homes month-to-month but would not be responsible for disposing of the mobile homes. Barton and his attorney had no comment. As the Ellensburg Rodeo and county fair grew, former county commissioners looked at ways to expand and spur economic development. A 1997 plan cited several options for growth, including the purchase of the Shady Brook Mobile Home Park and other surrounding areas. In February 2014, after owning Shady Brook for more than 37 years, the Bartons decided to sell it to the county, Jewell said. As county officials and the Bartons discussed the terms of the sale, Shady Brook residents were kept in the dark for more than two years. “We were negotiating in private executive session and feared the price would go up,” Jewell said of the secret negotiations, which are allowed under state law. County Commissioner Laura Osiadacz said even though the sale discussions occurred in sessions closed to the public, Shady Brook’s residents should have known what was happening. 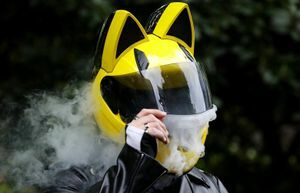 “If I lived in that neighborhood or house adjacent (to the fairgrounds), I would want to know if things are going on … That’s not too much to ask,” she said. Osiadacz acknowledged that county officials didn’t reach out to the park’s residents before the sale and that news releases concerning fairground expansion didn’t mention Shady Brook and weren’t written in Spanish, the primary language for many of the residents. “It’s not us vs. them, and we’re trying to create solutions for everyone involved including those that live in Shady Brook, Ellensburg and the county,” she said. Shady Brook residents say they didn’t find out about the pending sale until April 2016, and not from the county, but from the local newspaper, The Daily Record. Mobile-home owners always face the risk that the land underneath them can be sold to a new owner or, in the worst-case scenario, that they might be evicted so the land can be developed. 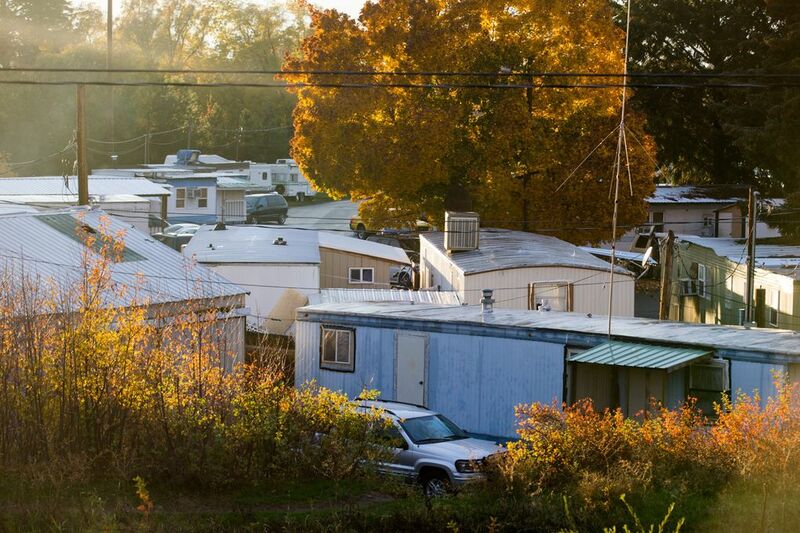 Across the state, eight mobile-home parks with 282 units are closing this year, according to the Washington Department of Commerce. 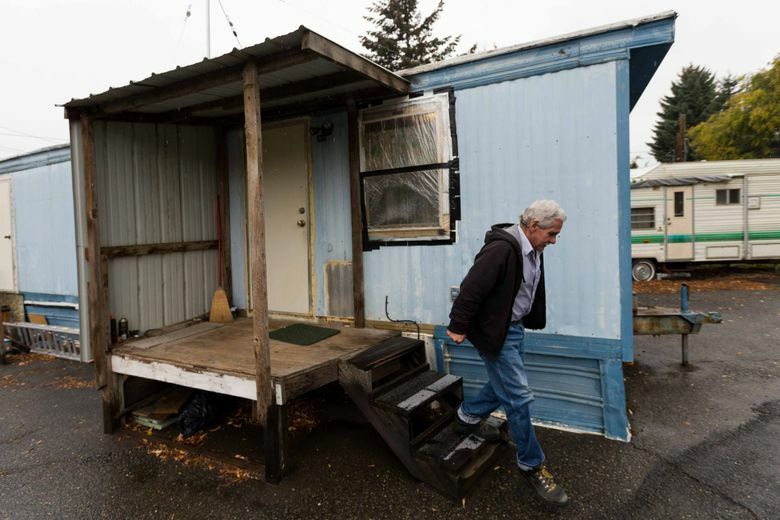 In the Seattle metropolitan area, 241 mobile homes and trailers will have to move this year primarily because of the housing and economic boom. More than a half-dozen Shady Brook residents told The Seattle Times they never worried about the possibility of losing their homes because they recall Jerry Barton’s assuring them he would never sell the land. Adriana Villa, who has been raising her three children in unit No. 23 for the past 16 years, was among those who said she asked Barton last year if he was going to sell the park. “No, never,” she said Barton told her. The homeowners association, with the help of attorneys, sent a letter to the Bartons demanding that they sort out 17 mobile homes’ titles, saying their sloppy paperwork made it difficult to determine who purchased homes and when. County records show that over the past two decades, people bought mobile homes that, on average, are 45 years old. The oldest was built in 1958. The age and condition of the mobile homes mean it may not be cost-effective, or even possible, for the homes to be relocated. Ibarra signed a rent-to-own contract in 2003 with Jerry Barton for a 1982 Liberty mobile home. 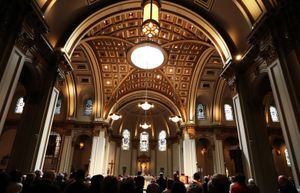 The agreement shows he paid the Bartons $14,900, along with a 12 percent interest rate, over a decade. County records show Jerry Barton paid only $9,500 in 1993 for the home. Ibarra said he’s angry that he won’t be living there as he’d planned, and he’s second-guessing the amount he spent on the home. “At the time I didn’t understand it and how much money I had to pay,” he said. 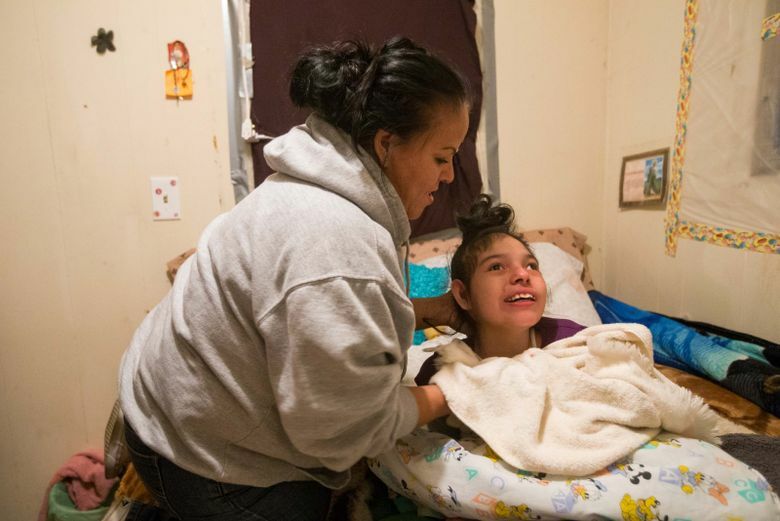 John Van Alst, an attorney with the National Consumer Law Center in Boston, said mobile-home buyers like Ibarra have little choice but to enter into rent-to own contracts. Mortgage lenders typically don’t loan money to people buying used mobile homes in land-leased communities because a landlord can raise rent or evict owners. Van Alst, who reviewed Ibarra’s rent-to-own agreement at the request of The Seattle Times, said in comparison to the roughly 5 percent interest rates offered at the time for a home loan, “obviously 12 percent on a home is pretty high.” He added that the contract lacks clear information on how the interest rate is calculated and doesn’t mention the cumulative interest over the time of the loan. “It can be confusing, and if English isn’t their first language it would be even more difficult,” Van Alst said. Juana Cox, another Shady Brook resident, said Barton offered her a deal in 2003 that she couldn’t refuse: an opportunity to live in and ultimately own trailer No. 39, a blue-and-white unit built in 1958. In exchange, Cox said, Barton asked her to work for him for free at the park’s laundry facilities and pay him $195 a month. The feisty, petite woman said she worked about 12 hours a week cleaning the floors and carrying out the trash for a decade. Cox, 62, said the residents there feel that if they are forced to relocate, they will be losing a community they have built and one in which they rely on each other for help. Her longtime neighbors offer her rides to appointments because she doesn’t know how to drive, Cox said. By late morning, Shady Brook is quiet most days except for the rain bouncing off the rippled aluminum siding and the sound of Wilson Creek as it meanders through the park and runs along the Iron Horse Trail. Mobile-home owners say the park is called Shady Brook because years ago willow trees, now just stumps, shaded homes abutting the creek. Shortly after 3 p.m., the door to the Ellensburg school bus cranks open and kids with bulging backpacks run and hop over puddles to find their bikes and scooters. They screech and giggle, riding up and down the short streets lined by potted petunias and marigolds until dusk. Cox said she can’t imagine living anywhere else.